I had sixteen T. xerographica that were left over from my wedding – they were beautiful and cost-effective centerpieces. I really considered them my “plant babies.” When I first got them, I’d give them a “bath” about once a week and let them dry outside in the sun. Eventually, those baths dwindled to about 2-3 weeks apart, which is still fine. Then life got busy and it was too cold to leave them outside, so I kept them in a bin in the guest room. However, one busy night I realized I hadn’t watered my plants in a month and so proceeded to dunk them all in the bathtub. After watering, I always invert them so that the plant isn’t holding water, because a tillandsia with water remaining in its base will rot in the middle. I allowed them to dry off and the plants had returned to their silvery green state and felt dry to the touch. I thought it was safe to corral them in my plastic bin (to save space). Killing one of these plants that can live 50+ years isn’t the same as killing the basil that lives about 6 months. When I went to water them next (another month later), I realized all the plants in the bottom of the bin were dead. They didn’t exactly look dead at first, but once I pulled them out of the tub they fell apart from the center. I had decapitated my plant babies! There were two layers of plants in the bin – the ones on top of the bin were fine, since they dried fully…but all the ones on the bottom died since they were just damp enough for mildew to form. The mildew was barely noticeable, but definitely the culprit. The culprit, besides me, murderer of plants =(. I now have 9 plants, down from 16. 2. Water once every 2-3 weeks by soaking. Shake off excess water by inverting the plant. 3. Bromeliad fertilizer can be used occasionally – I recommend a very dilute concentration, at most 1/4 of the recommended amount. Over-fertilizing can be lethal. 4. Keep plant in moderate temperatures (50-80 deg F). Because you may not trust a person who has killed her supposedly low-maintenance plants, here are some other sources for T. xerographica care. Keep in mind that some instructions are contradictory, which I think just attests to the easygoing nature of the plant. I’ve always wanted to have an organized pantry. It just looks so soothing to have all your dry food in matching containers, doesn’t it? 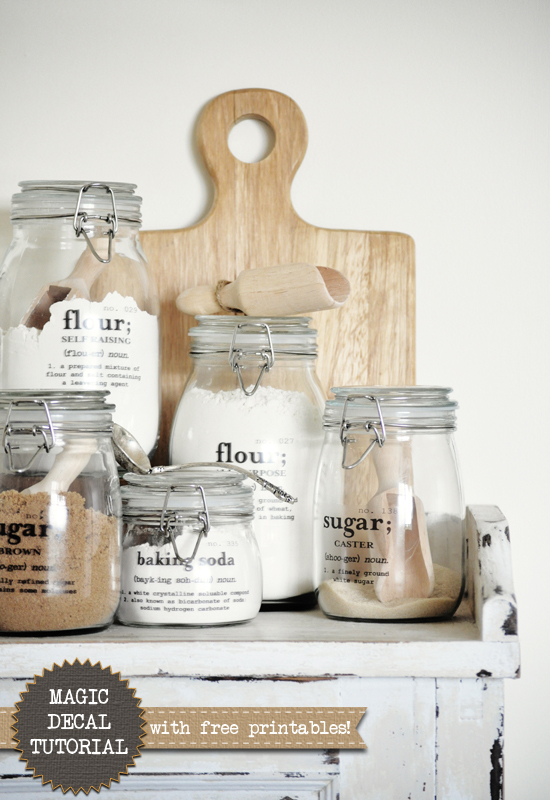 The jars pictured here are the Slom storage containers from IKEA. The decals in this tutorial are diswasher safe – if you’re feeling particularly ambitious, you can also design your own labels. Click here for the full tutorial from The Painted Hive. 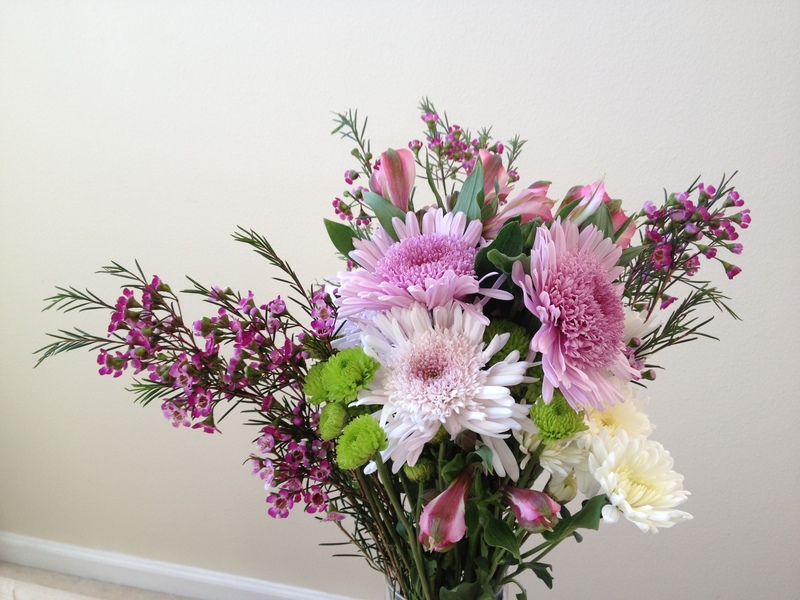 Inspired by all the floral arrangements I’ve been seeing lately, I decided to try my hand at making one of my own. These are some lavender and green mums from Trader Joe’s, supplemented by some blooms from the yard. I found it was easiest to arrange it in my hand first, then trim the stems while they were still held together in the desired position. Discovered Lullatone through Amanda’s blog at Wit & Whistle. 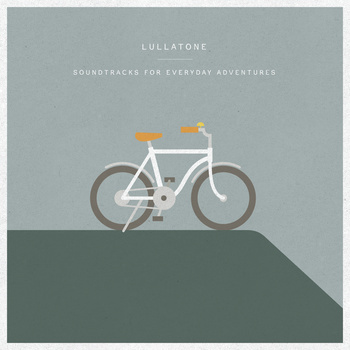 This song is from the album “Soundtracks for Everyday Adventures.” I love the illustration of the bike on the cover too! Discovered this extremely easy-to-use webpage editor: www.imcreator.com You can start a design from scratch but there are some templates available as well. I fiddled around with this app a bit and found that besides pictures and text, I can quickly add page menus, video, picture galleries, and contact forms. Social media widgets such as Twitter and Facebook feeds are easy to add and customize. Pictures can be cropped directly inside the editor, and text can easily be layered over images. Resizing pictures is also foolproof – I find that no matter what I do, the image is resized or cropped a bit so that the aspect ratio stays the same. This means no more stretched-looking images no matter who uses this editor (a constant pet peeve of mine). It’s free to create websites, but if you want to connect the site to your own domain, IMcreator charges for hosting services (between $7 to $10 a month). 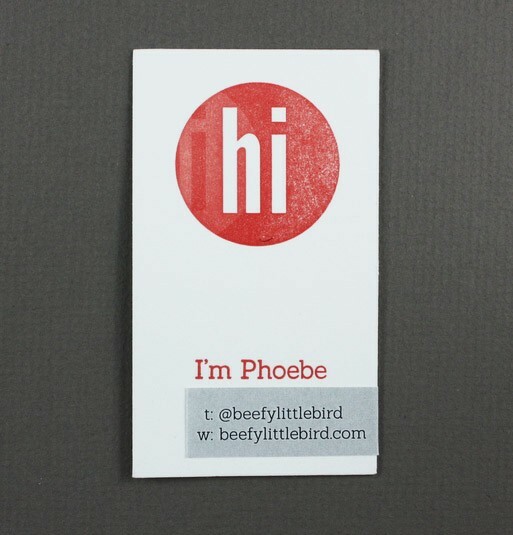 At Alt Summit, I met Christine Harmel who is in charge of marketing at BO.LT, a cool site that allows you to save whole webpages. At first glance, it looked like another Pinterest to me, but Christine showed me that it was so much more. Pinterest allows you to save an image or video that you “pin”, directly onto their servers. The link associated with the image is pinned as well. However, once the webpage is modified or taken down, all you have left is the image. 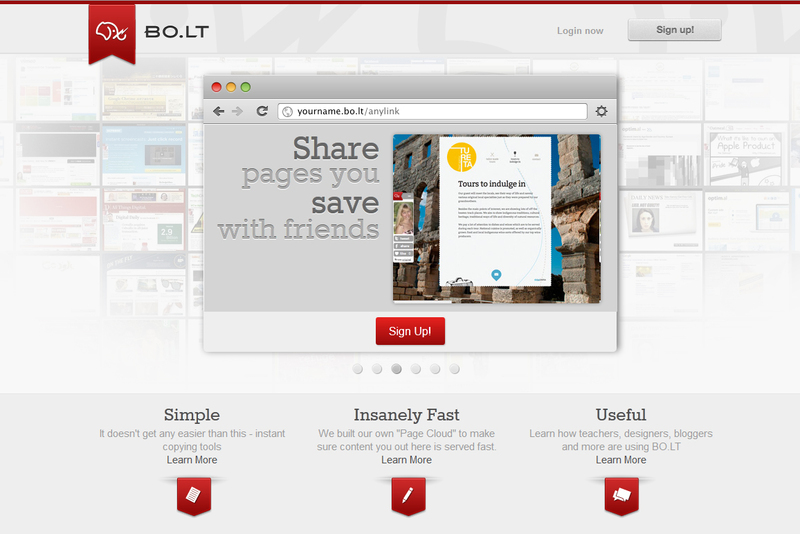 BO.LT, on the other hand, is different – you can save entire dynamic webpages in an instant. Once you enter the page you want to save, or “bolt,” the page is recreated in seconds on their server, with active links and all. What does this mean exactly? I used to save websites that I liked onto my hard drive by clicking File>Save from my web browser. I was teaching myself web design and wanted to know how the good websites worked. I would then get a folder with a bunch of images and files inside, and an additional .html file that was the recreated website. It became too confusing to pair the right .html file with the right folder, especially if I reorganized the files on my computer. But with this application, all of that ‘fun’ stuff is done for me, online, not to be lost again. You can also add comments to each saved webpage (called bolts) and share your discoveries with friends, as well as see what other users are sharing. I’ve already discovered some cool new-to-me websites and spent about 15 minutes bolting some of my favorite sites. It’s incredibly easy to use. Don’t you just love it when cool technology and good design intersect? One of the founders also has a lifestyle site – www.farmhousemodern.com where he shares bolts of pages that reflect a certain refined rustic aesthetic. Check it out!